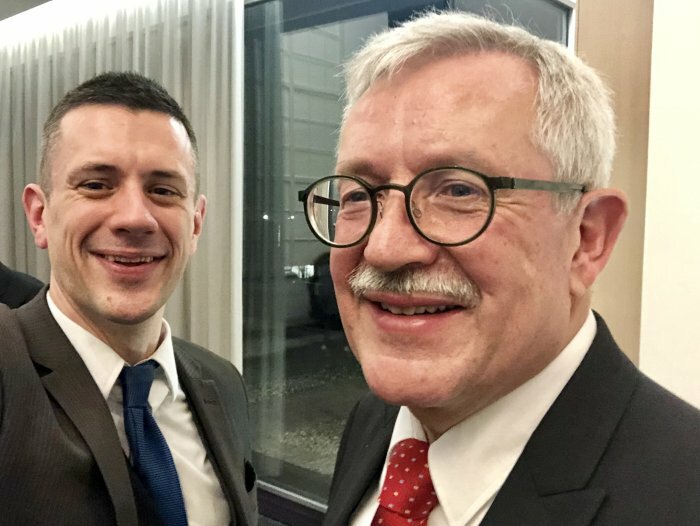 For Dining With Strangers articles I try to avoid returning to the same dining establishments after featuring them — but on Wednesday I made an exception when I returned to the residence of Martin Dahinden, Swiss ambassador to the United States. Martin and I first had dinner at his residence in November 2015, when he was the 83rd stranger profiled on this site. He talked about the fascinating life and work of being an ambassador. And he also spoke extensively about his interest in the Swiss influence on cuisine, stressing that his country should be known for much more than chocolates and cheese. He worked with his chef to craft a menu promoting dishes either from Switzerland or created in other countries by Swiss emigres or influenced by the nation. 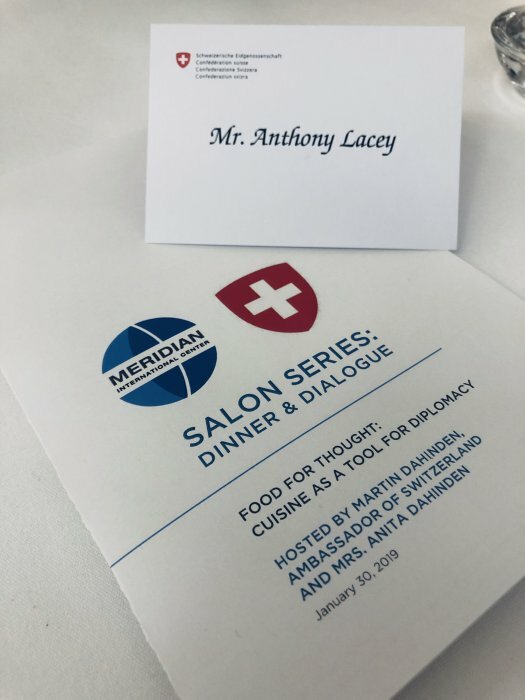 This week, I was invited back to the residence along with about 50 other diners for an evening called “Food for Thought: Cuisine as a Tool for Diplomacy,” organized by Martin and the Meridian International Center. The center organizes a recurring series of salon dinners where people from various fields gather to dine and talk about interesting topics. 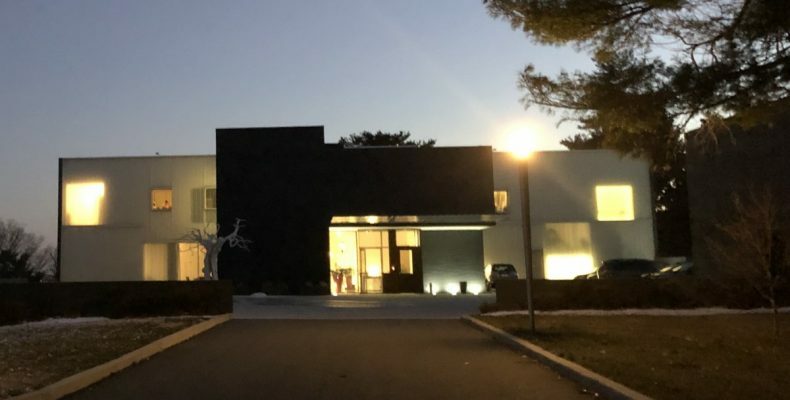 I was honored to be invited, and had a great time revisiting the residence for a fantastic four course menu based on food that takes its inspiration from Switzerland. 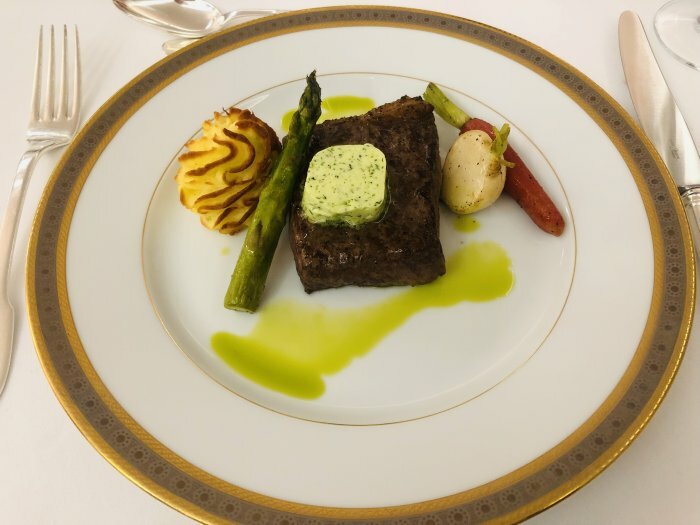 The menu, “Delmonico’s and Haute Cuisine in the New World,” was modeled on dishes made popular at the historic restaurant Delmonico’s in New York, which was operated by the Delmonico family who moved to the United States from Switzerland. 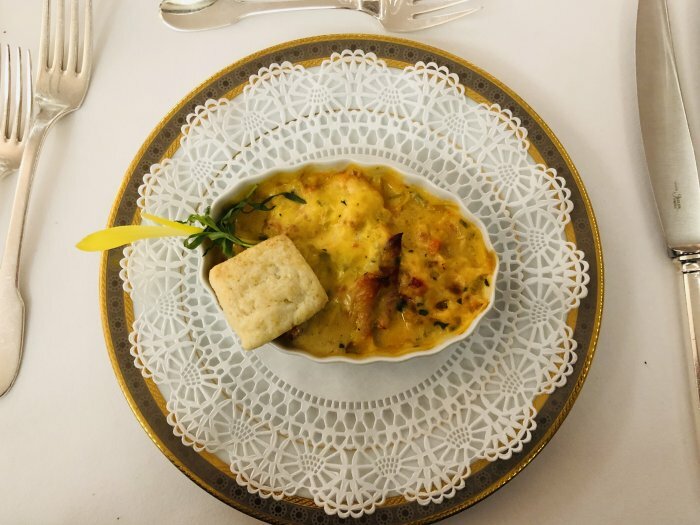 It started with Lobster Newberg, served with lobster pieces in a sherry cream sauce. 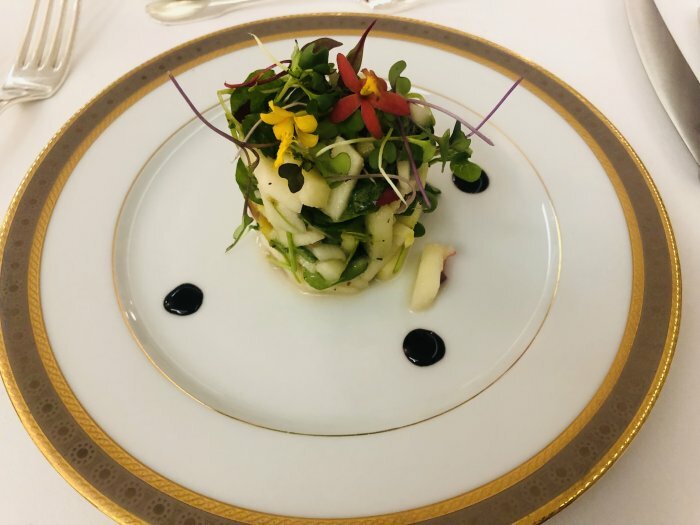 Second course was a salad of endive, watercress and apple with a tangy honey mustard vinaigrette. The meat course was a fantastic Delmonico steak: pan-roasted strip loin with herb compound butter, twice-baked potato and vegetables. 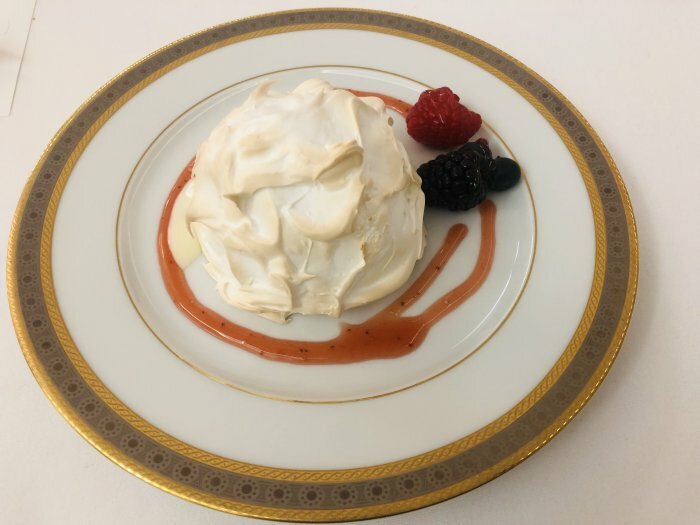 To finish, an irresistable Baked Alaska — a meringue dome covering vanilla cream and sponge cake with a blueberry sauce, served with fresh berries. A great end to what was an incredible evening. I also couldn’t resist asking Martin for a selfie.